I’m sure you are scratching your head wondering how there could be such a science but to some who want to become rich with money it is a science. Why? They fail to see the long-term effects of putting in effort even if only short-term goals that will help accumulate wealth and lower debt. If you want to become a millionaire you can’t just hope that the stars will align and it will happen you have to make it happen. A successful business isn’t successful because it runs on its own! Our only science in the CBB house is understanding where our money is going, how much money we net and investing in our future. No magic here just hard work and a frugal lifestyle. Building wealth for some people may mean a high net worth but whichever way you choose to feel fulfilled financially avoiding common mistakes with money is the first step to understanding how to become rich. Do you ever wonder how people become rich? I mean, how on earth do they accumulate millions of dollars? Was it hard work? Luck? Family inheritance? Parental assistance? There are young and rich kids out there and although some might think mommy and daddy paved the way that isn’t always the case. It happens, yes but self-made millionaires happen all the time. I like to think of people who tend to lean towards that type of mindset as jealous people who wish upon a star. Sure it happens but there are plenty of young adults out there who made it on their own without the help of their parents or limited assistance. Look at Canadian Justin Bieber… that kid although he’s been in trouble more times than we care to talk about shot to fame because he put lots of effort into his role as an entertainer. You don’t have to like him, it was just an example. I may not have millions but I’m not waking up at night worried about how I’m going to pay the bills. It’s not bragging either it’s math basics coupled with smart choices. Even when we lived on one income so I could return to school it was tough but we did it, no complaining. If we always blame-shifted we’d never get ahead and we would teach our children not to challenge themselves when they should, we should. I read an article about “How 5 millionaires made their fortunes” and sure some of them had help from their parents but it still takes a certain person to sustain wealth. You know what I mean when I say you can get a pay cheque in your hand one day and blow it the next. It’s no different with successful people, they need to manage their money just the same. The article goes on to say that Alan Corey author of “A Million Bucks By 30“, a self-made millionaire after buying real estate said that he found one common characteristic in all the biographies and autobiographies he read of millionaires and that was they believed in their success. When I read that I immediately thought of the people who said they can’t budget or it just won’t work. If you don’t believe it will or you don’t put a genuine effort into it, you’re right.. it won’t work. If you want to be successful then don’t let life stop you, find ways to become that success that you crave. The easiest route to fill up the bank account would be to marry a rich man or woman but we all know that’s not the smartest thing to do. Remember our friend what happened to her marriage because she thought money was more important than love. It never works and if it does it’s only for a short period. The luckiest way to become rich would be to win the lottery but we all know that unless we play there are no odds and for most they will never see more than a few dollar wins, us included. I can’t tell you exactly how to become rich because I don’t know what being rich even means to you although I know money is involved. Money that helps you to forget about what most people stress about. I can tell you that money is just a state of mind and whether you want to believe it, how you chose to view it is up to you. If you want to be debt-free and not worry about money for a long time you need to put forth one thing… effort! Don’t become an actor of status. 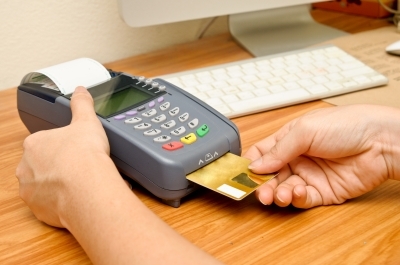 The ideal route if you want become rich or worry free is to stop buying those ‘status items’. I know it sounds like common sense but it’s easier to make excuses than it is to put a plan in motion. We all have times where we give in to our desires and later pay the price. Sometimes we have to make mistakes in order to learn from them, then again some people never learn. I’m even guilty of that at times but I recognize that I need to make changes. If you want to become rich that doesn’t mean you must have millions in the bank, most people would be more than happy to be mortgage free and owing no money to anyone. Being debt free doesn’t necessarily mean you are rich either although it depends on your mindset. I remember a conversation I had with a friend once who told me that I must be rich because I owned a home. It really made me question what ‘being rich’ meant to people. I’ve since learned that we all see being rich as a vision of our own happiness. In other words, what happiness money brings to one it may not bring to another. Keep in mind that says “look rich“. Goodness, where do I begin? We see it all the time especially our neighbours because they are the people who are in our line of vision when we leave the house every day. Do you have neighbours who rush outside when they hear the rumbles of a big truck to see who is getting something delivered and what it is? It happens all the time because you can’t get past some neighbours who need to know it all. The best is when some homeowners goes out to supervise the employees bringing in the new stuff. haha! It’s like, look at what we just bought…ain’t it pretty? That and they know people are watching. The one big-ticket status item we see the most is vehicles. If there is one top-notch way to look rich it’s to buy a vehicle that you likely can’t afford just to look cool. The money that people spend on buying vehicles is outrageous. Leasing a vehicle might not be the smartest option unless you have a business to write-off the expenses. Our one neighbour does this and he bounces from one vehicle to the next. They weren’t cheapo cars either, they were some pricey vehicles which were over-the-top. I could understand if they lived in mansion-ville but that’s not the case… even then stuff doesn’t equate to being rich. It’s all part of that “status”. Other status items are clothing and accessories and let’s not forget the bling… jewellery. My wife told me once never to spend money on jewellery for her. I listened for the most part although I did buy her new earrings for our anniversary but nothing fancy just hoops as she can’t wear fake earrings. She did buy me a watch once and I’ll be honest and say I hardly wear it. In my line of work I can’t wear watches and jewellery so why bother spending money on something I can’t wear half the time. Easy, and I’ve said it all along, “Spend less than you earn”, “Use a Budget“, “Believe in yourself”, “Protect Yourself Financially” and “Set Goals”. 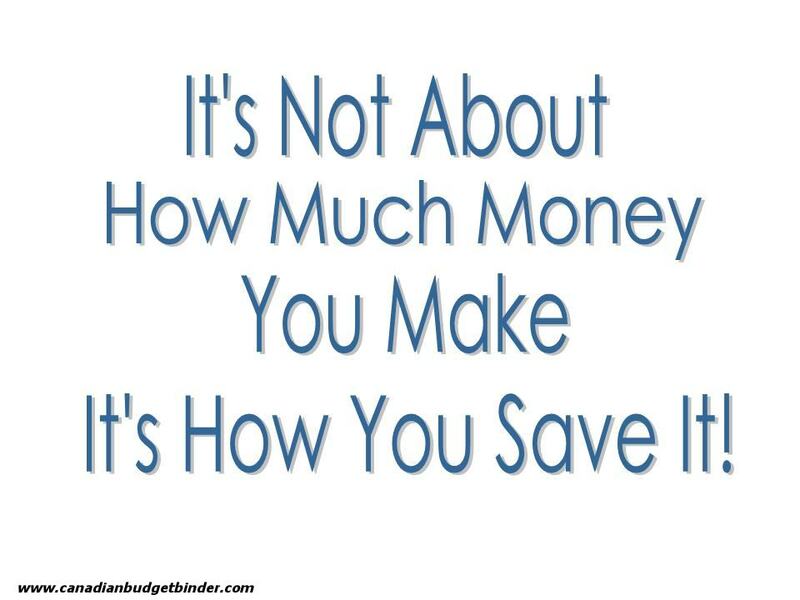 Living a frugal life doesn’t mean you have to be cheap and miss out, it means you are smart with the way you spend your money. One good point the article made was to start young and I believe that if I had not started young I wouldn’t be as far ahead as I am but that still doesn’t mean you can’t get a move on financially at any age. Sometimes the financial alarm bells don’t go off right away and when they do for some they might be older and you know what, that’s fine. Never stop dreaming or believing you can get ahead of the game. In the end if I want to become rich all I need to do is look at my family. This reminds me that being rich means that we have all the basics in life because we choose to manage our money wisely. That might not be rich to you but to us it’s the best kind of rich, one that only we appreciate. What has helped you to become successful financially? Well it’s a new year and with that comes a new conversation with my wife about our finances. I’ll be posting our final 2014 budget update next week and will do a year-end update net worth post as well. Reaching our goals every year is tough so we try to keep them as realistic as we can. Sometimes I think people are too hard on themselves because they want to become debt-free too fast. Creating debt takes time as does getting out of debt. Budgeting gave us the freedom from debt that we now have today and I hope that if I can encourage you to use one that you will embrace it with an open mind and a seriousness to get on the right financial path. I’m back to work now but working both jobs which means I’ll be super busy for the next 8 weeks. Sometimes it’s pretty hard on me but most times I motivate myself knowing that what I’m doing is because I want to move up in my career and that it will create a better future for my family and I. Our son has worked very hard trying to walk. It seems very odd for a 4 month old child who wants to walk and not crawl but that’s what our boy is doing. He has no interest in crawling and he gets upset if we don’t let him try and walk with our help of course. When did your child start to walk and crawl? Is it odd that our child doesn’t want to crawl? Other than that I’m working on the bathroom (ya like there’s lots of time for that) but with limited time it may take me longer than I anticipated but that’s fine. It’s not like the Queen is coming to visit. So, that’s my week. How was your week? Just in case you’ve missed any of my blog posts this week I will link to them all below. If you have a question that you would like to ask Mr.CBB fill out the contact Mr.CBB form on the Home Page and send in your questions. Mr.CBB will look in his mailbag weekly and pick a question to answer on the blog. I thought it would be fun to share the Top 5 pages and posts each week for those of you that are new reading Canadian Budget Binder. These are in no particular order but were among the most viewed apart from the posts of the week. Scanning Code of Practice in Canada: Did you know? Saving money while grocery shopping is essential in the CBB family and that’s why we share our grocery shops every week in The Grocery Game Challenge 2015. What I love the most is when my fans share their amazing shops with me whether it be groceries or other deals they find at a garage sale, online or that they find for free!!! 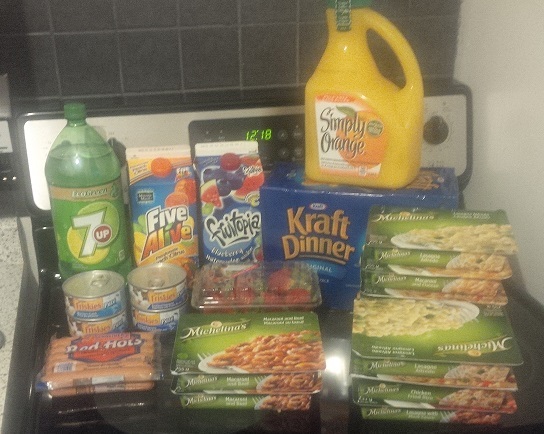 This week CBB fan Della shares some Super Savings she found while grocery shopping!! Hi Mr. CBB and Fans! I did my grocery shopping today and attached picture shows some of the deals that I obtained. I spent a total of $31.23 instead of $59.68, that’s a savings of $28.45. 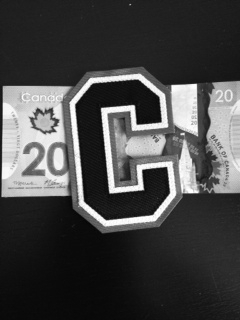 Today fellow Canadian Mr. Captain Cash shares his passion for personal finance and his blog with all of you. What Is Mr. Captain Cash About? I’m Mr. Captain Cash and my blog is about personal finance and my journey to financial independence before my 29th birthday. I am the head coach of a fictional team known as the Cash Accumulators who are part of the Financial Independence League (FIL). In early December we began undergoing major organizational restructuring and team strategy adjustments in the pursuit of being able to generate $20,000 in annual dividend income. I have been given a four-year time frame to complete our rebuild and implement ways to increase our annual dividend income generated. Once we generate over $20,000 in annual dividend income we will beat our longtime rival the Financial Independence LifeStylers and win the Financial Independence Cup. Who Is Mr. Captain Cash? I am a no-nonsense leader who replaced the dismissed coaching staff of the Cash Accumulators. I have plans to abolish the foolish financial ways of the previous coaching staff, continue to build upon the pre-existing strengths that the previous coaching staff was attempting to implement, all while sharing my strategies and beliefs on how to win the Financial Independence Cup. What Can Mr. Captain Cash Do For You? I regularly provide updates of more efficient revised team strategies that replace the foolish financial ways of the past. Most importantly the Cash Accumulators and I started our four-year rebuild this December. Meaning, you will enjoy a rare opportunity of being able to watch first hand the success and failures along the way in the pursuit of being able to increase our annual dividend income from $4500 to $20,000 to reach financial independence. Hopefully you will take the time to drop in and become part of the quickly growing Cash Accumulator fan base! Now that the holidays have come and gone it’s time to think of comfort food for those long cold days ahead. Although we have yet to see a major snow storm in Ontario I’m pretty sure it’s going to happen very soon, maybe even today. 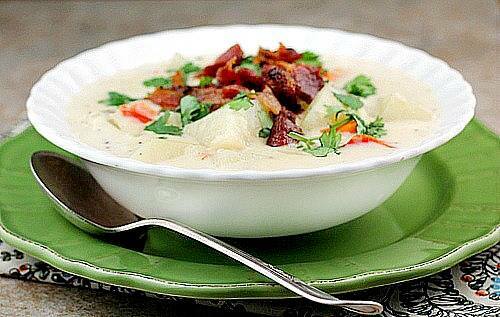 Why not bundle up in front of the TV with a hot bowl of crockpot potato soup topped with bacon bits!! Mary at Bunny’s Warm Oven has the perfect crockpot recipe for all of you soup lovers so check it out and enjoy a lazy day in style! Editor’s blog post pick of the week goes to The Finance Girl who shares a post about How To Prioritize Paying Off Debt. What caught my eye about this post was where Natalie says “Regardless of your income you should have financial goals for the year” and she’s right. I don’t think that we would be as far as we are financially without setting some form of goals every year. Sure, there are some goals that fall to the side but for the most part goals give Mrs. CBB and I some sort of direction so we aren’t just winging it with our money all year. Do you set financial goals? In Canada if an item has no price is it free– Now wouldn’t that just cause mass destruction at the stores. Of course not! Familiarize yourself with The Scanning Code of Practice to see if certain stores you shop at apply this practice to their products. Can I use OSAP to pay for my trip– That would be sensible wouldn’t it? Money always follows a belief system– I agree because we spend and save depending on what we believe. Better to be house poor or live in a small house- I’m pretty sure this isn’t rocket science however many people don’t quite get it yet. Normal budget for Canadians– Is there such a thing? Ok, well here’s my Normal Budget For Canadians.. and it’s FREE!! Follow Me on Social Media by clicking on the social media links below. The Saturday Weekend Review #101: Does your neighbours home improvement really affect your property value? CBB’s 2014 Top Posts and Blog Review! Great insights on the actual science of becoming rich! I guess you should also add the relationship we have with money. It shouldn’t be seen as something evil or something that’s difficult to attain. We should be comfortable with it but not too much to splurge it around. It’s important to acknowledge its importance and use in paying off debt, saving for the future, and securing a happy family life. Good point that it shouldn’t be seen as something evil. Becoming rich is not far-fetched for many people as long as they don’t give up on themselves and they define what being rich to them really means. Thanks for featuring my blog in your Making A Difference feature. I appreciate it! Much like Dee mentioned growing up my parents and I never talked about personal finance. I always did save my money but when I was 18 it was in GIC’s or mutual funds with high expense ratios. Luckily, for me while doing triathlons with my cousins they would talk about personal finance when we were training and got me started down the right path. I find it interesting as well that when people hear I am mortgage free they assume I must have tons of cash even though the purchase price of my house was a little over $200,000. It sure has been nice getting rid of the mortgage payments this November. Ya we killed our mortgage last April and it’s been well worth the effort. We don’t really tell anyone that we have no mortgage except on the blog because once people think you have money you are doomed lol. I definitely didn’t grow up rich but it was hard to live by example because my parents never talked about their finances. I’m changing that with my daughter so she understands the hard work it takes to clean up my past mistakes (called 18K+ credit card debt). I’m currently saving up to replace my chest freezer with an upright freezer but it will be worth it. I couldn’t believe how much I saved until I added it up. I’m definitely going to keep track how much I’m saving, whether it’s by couponing or price matching. Good for you Dee teaching your daughter about finances because that’s something she will carry with her forever. How much longer before you clean up that debt for good? Have you set a time-frame? I was just figuring that out today. It will take me about 5-6 years to fully pay off that debt. I’m hoping that I can pay it off sooner but only time will tell. I would like to make extra payments but that really depends on all the other bills and where I can save money. During this time, I am definitely saving at the gas pumps so that leftover amounts will be sent to the credit card bills. That’s awesome Dee… go get that debt and CRUSH IT! Right now things are not that good financially but I am trying. We have a small transfer going into a savings account that is in my name that serves as our emergency fund. The target is to keep that account over $1000.00. So far so good. It takes a hit every so often but then we build that back up. Nobody could accuse us of driving a status vehicle here….it’s a 1998 Sierra extended cab pick up truck…but it’s paid for, no car payments here!!! Sounds like someone is determined to be mobile!!!! The grandson did crawl but he started in a home based daycare at 10 months and decided right then that he wasn’t crawling anymore and started walking!! By his first birthday he was running all over the place!!! Wait until you have to change the nappy on a child that doesn’t want to stay still for the minute or two the job takes!! we had to change him while running after him!!! Have fun!!!!!! Della got some nice deals!!!!! Had a good chuckle over the search terms!!!!! Have a good weekend and drive safe!!! Haha… so you are one of those neighbours. It’s ok we do the same especially if we hear lots of rumbles. I understand what you mean though about being alert for potential problems in the area. Yes he wants to eat solids and he’s ready to walk every day otherwise he cries. He’s trying to grow up too fast I think. Della got some crackin deals yes! Your emergency fund.. when would be a time to dip into it? To me wealth or being rich isn’t a number but a state of mind. Once all of your needs can be met without worry then you are there. For some that will be less than a million dollar portfolio or blazing 6 digit income because as you say living with a budget and being financially wise about things. As to looking rich, I believe in flying below the radar and not appearing financially independent. I have the worst looking but a very reliable and economical car in the parking lot when I choose to work. I prefer to look deceptively lower income but that is easy for me. Low income is how I grew up. You and my wife think the same. She is one of those people who would rather people NOT know we are financially stable that way they don’t bug us for anything or treat us differently. I can see where she is coming from. How has that worked out for you?